As a paralegal in Hahn Loeser’s Naples, Florida office, Christine A. Silveus maintains and controls estate planning work for clients. She maintains ongoing client status report on active client workload. Christine has experience preparing documents including flowcharts of revocable trusts, irrevocable trusts including annual exclusion spousal trusts, life insurance trusts, personal residence trusts, grantor retained annuity trusts, charitable remainder annuity trusts, descendants trusts, wills codicils to wills, powers of attorney, health care declarations, IRA beneficiary designations, warranty deeds, trustee documents, homestead waivers, promissory notes, prenuptial agreements, real estate contracts, partnership and corporate documents. Additionally, she has experience calculating interest and gift values for trusts and promissory notes. Christine assists attorneys at client validation/execution conference and with legal research. 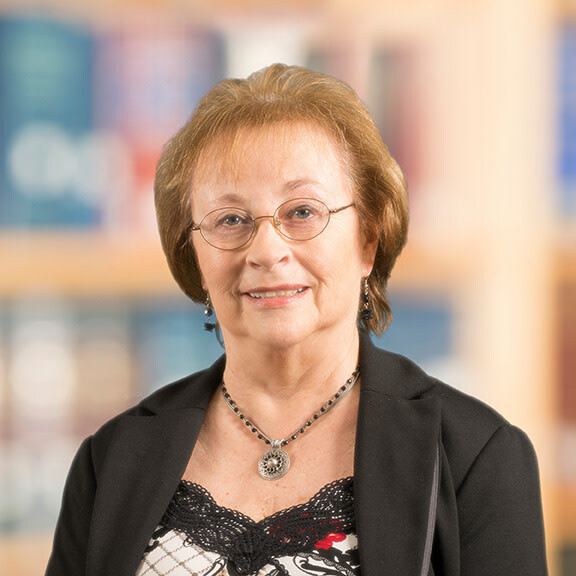 Christine prepares probate documents for formal administrations and summary administrations, arranges for appraisals of real property and tangible personal property, and gathers and organizes asset material for federal estate tax returns. Christine also works on the preparation of federal estate tax returns and gift tax returns. Christine was born in Marshall, Michigan and lived in Delphos, Ohio from 7th grade through graduation. She now resides in Naples, Florida. Naples Relay for Life, Active Participant.